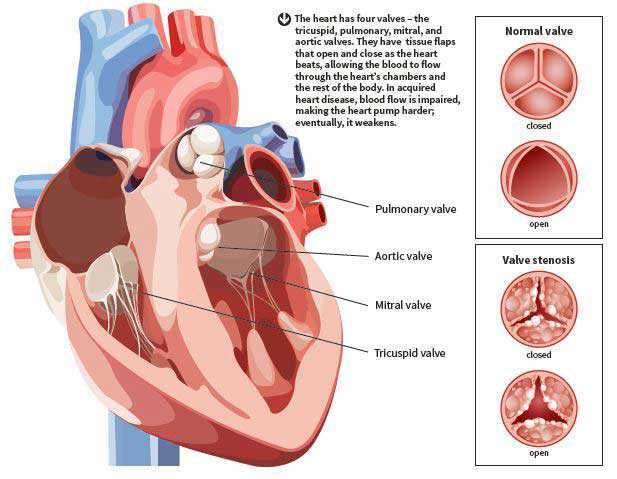 Damaged heart valves resulting in incomplete opening (stenosis) or closing (regurgitation) can lead to the lack of blood flowing out of the heart or leakage of blood backwards into the preceding chamber. This can lead to the abnormal enlargement of the heart chambers or heart failure over time. Traditionally, these conditions are often treated with open heart surgery. However, there may be concomitant medical conditions (such as advanced age, kidney failure, previous open heart surgeries) that may increase the risk of open heart surgery. These patients can consider minimally invasive Heart Valve Interventions available at our practice. At The Heart & Vascular Centre, we also provide minimally invasive Structural Heart Interventions to treat conditions such as “hole in the heart” (Atrial septal defects or Patent Foramen Ovale) and left atrial appendage closure device implantation for the treatment of Atrial Fibrillation. 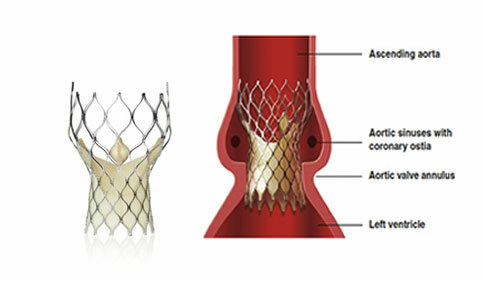 Transcatheter aortic valve implantation (TAVI) is a technique where a severely narrowed aortic valve of the heart is replaced without open heart surgery by a minimally invasive procedure. This results in a much quicker recovery and less post procedure pain and discomfort. 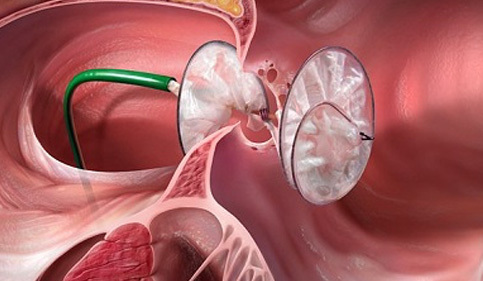 TAVI/ TAVR is most commonly performed through a small puncture hole in the groin. TAVI/ TAVR has been shown to be life-saving in patients who cannot undergo open heart surgery, and is equivalent or better than open heart surgery in patients who are at increased risk for surgery. 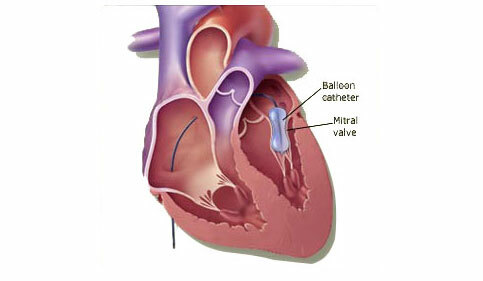 Mitral valvuloplasty is a minimally invasive procedure performed via a groin puncture, where a balloon is used to dilate a narrowed mitral valve of the heart (mitral stenosis). 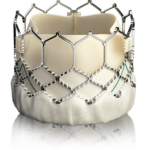 This technique is now the treatment of choice for patients with severe mitral valve narrowing, providing excellent results and symptom relief. Patients with previous surgical heart valve replacements may sometimes develop leakage at the edges of the implanted valves. Percutaneous paravalvular leak closure is a minimally invasive method to treat these leakages without the need for a repeat open heart surgery, minimising the risks and discomfort for patients. Patients with atrial fibrillation (chaotic heart rhythm) are at increased risks of clot formation and stroke, and therefore require anti-coagulation therapy with potent blood thinners. This in turn increases the risk of bleeding events (including bleeding in the brain) which could be life-threatening. 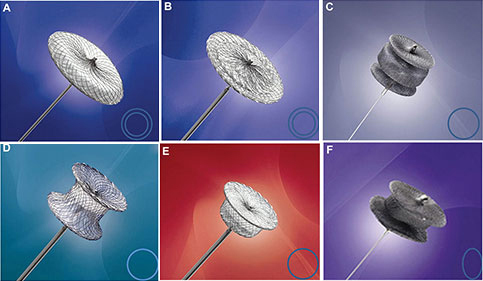 The Watchman LAA closure therapy is where an umbrella-like device is placed percutaneously (minimally invasively) in a left heart chamber to reduce clot formation and thus reduce the risk of stroke. It has been shown to be an alternative to treatment with the lifelong potent blood thinners. It has been found that a Patent Foramen Ovale (PFO) is a risk factor for stroke in young patients where no other causes can be found. Device closure of the PFO can lead to a reduction in the recurrence of stroke in these patients. 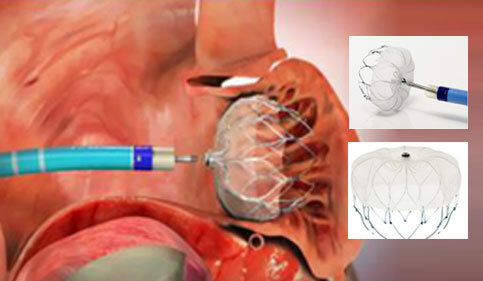 Mitraclip is a minimally invasive treatment option for severe leakage of the mitral valve. 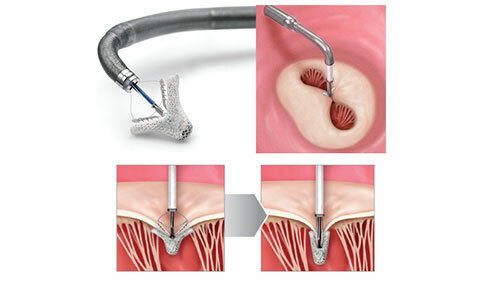 A clip is delivered from the groin and is implanted to hold part of the valve leaflets together, reducing the leakage. This method is a safer option compared to open heart mitral valve repair, especially for patients who are at increased surgical risk.